How do I add an account to my budget? Click on that enterprise (enterprise name will be blue.) e.g. 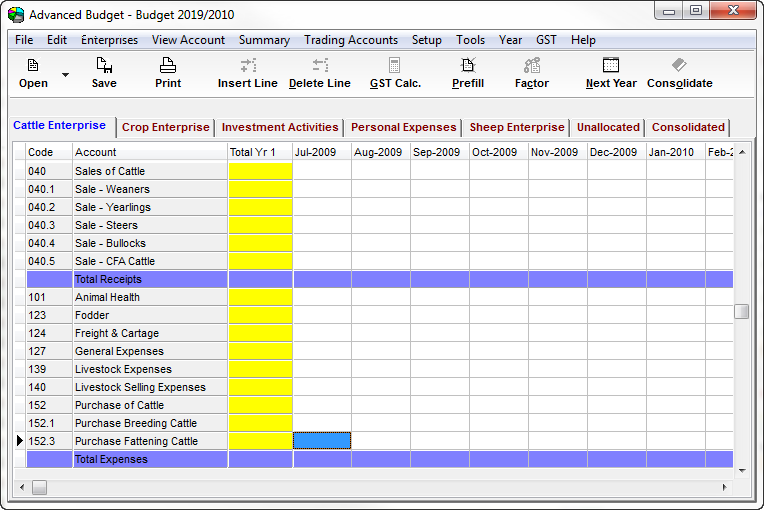 Cattle Enterprise. Click on the Insert Line button. To select a block of accounts (i.e. in a contiguous group), hold down the Shift key then click on the first account you wish to add then click on the last account. All accounts in between will also be selected. 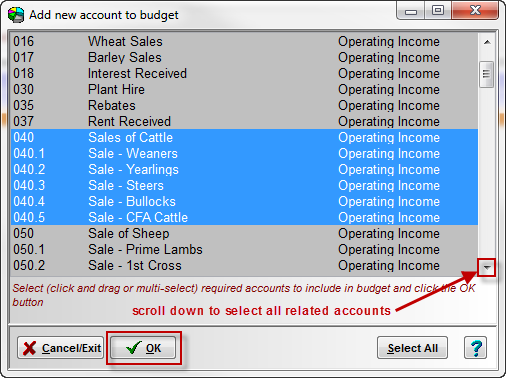 To select (or deselect) multiple individual accounts hold down the Ctrl key and click on each account. If you only want to select one account, then just click on that account. All accounts will auto-fill in to the respective section.